Get a 15% discount on the Vaporesso Estoc Tank Mega on heaven Gifts, by using our exclusive coupon code. 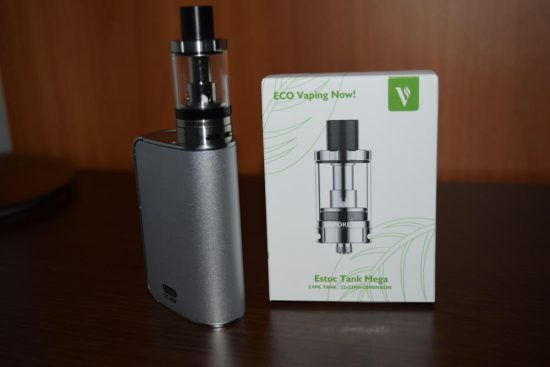 Almost a year after taking the vaping world by storm with its revolutionary Target 75 VTC kit, Vaporesso launches the Estoc Tank Mega, a new sub-ohm tank that uses the Chinese company’s innovative cCELL ceramic coil technology and introduces an interesting eco-vaping concept. Obviously, it also promises thick vapor and excellent flavor. 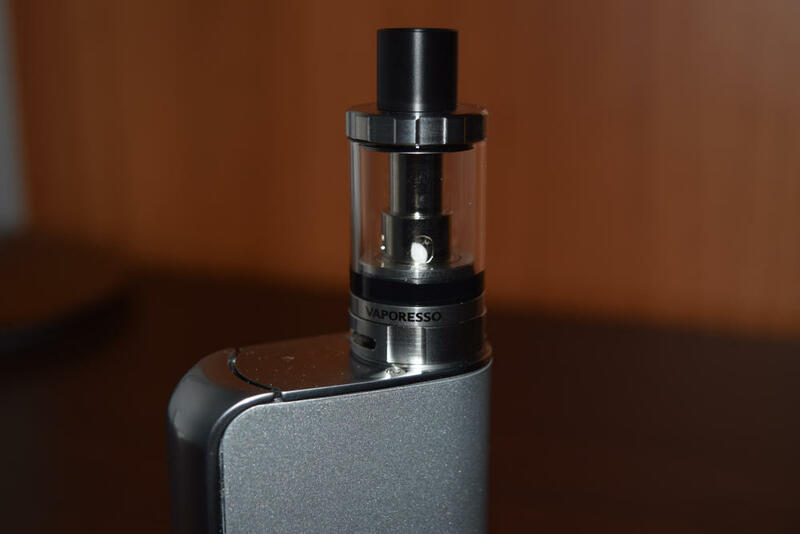 In this review, we’ll be taking a close look at the Estoc Mega to see if it has what it takes to become another Vaporesso sleeper hit. Very few people had even heard about Vaporesso, when the Target 75 VTC hit the market late last year, but the gaming controller-inspired design of the mod and the impressive performance of the cCELL ceramic coils quickly won over the community, and today Vaporesso is one of the biggest names in the vaping industry. But after the moderate success of its Tarot mod, the Chinese company is trying to prove that it is more than one trick pony. It’s latest attempt is the Estoc tank. 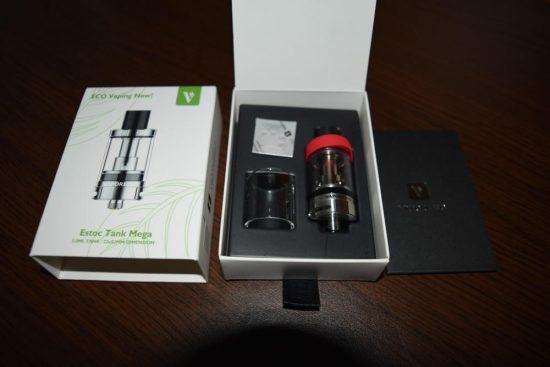 The Vaporesso Estoc Tank Mega comes in a small, white drawer box, which also contains a spare glass tube, a standard EUC coild head (the ceramic one comes pre-installed in the tank), a bag of spare o-rings and a user manual. You’ll also find a couple of silicon sleeves for the top cap, to protect your fingers in case that becomes too hot from chain vaping at high wattage. It’s a pretty standard offering for a tank kit, but I personally really appreciate the backup glass tube, having already broken several tanks in all kinds of stupid accidents. 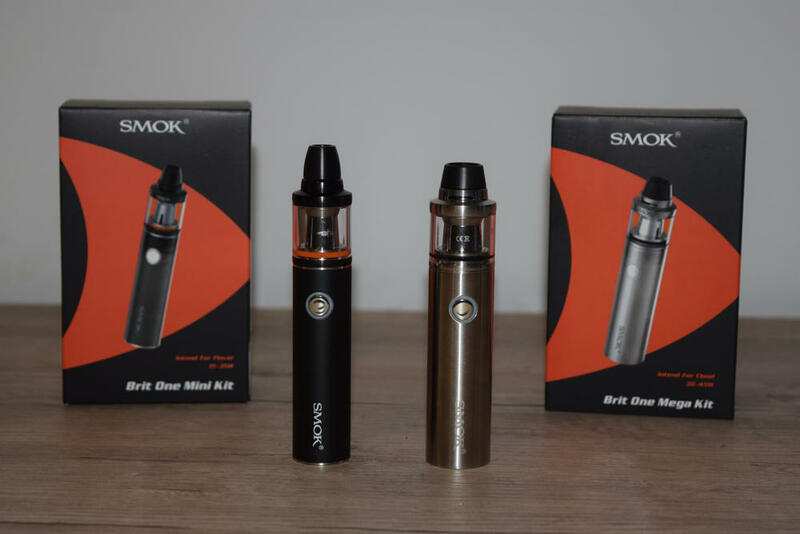 The Estoc tank come in two variants – a small 2ml version that meets the standards imposed by the the European Union’s new tobacco directive, and a Mega version that supposedly has an e-liquid capacity of 4ml. But here’s the strange part – I received the Estoc Tank Mega for this review, but it only has a capacity of 3ml and it even says so on the box. To be sure, I actually put 3 milliliters of Muffin Man juice into a syringe and filled the tank almost all the way to the top. It could have maybe taken in a little more, but definitely not a whole milliliter. 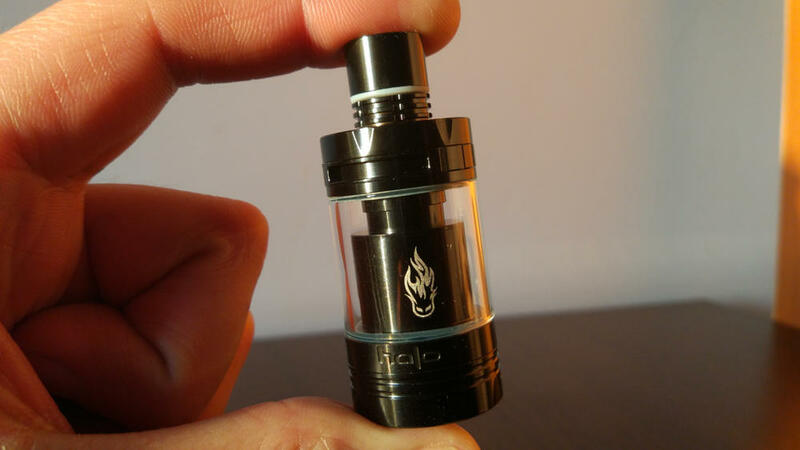 I then checked out some of the YouTube reviews, and they all mentioned a 4ml capacity. The boxes shown in the videos also had “4.0ml tank” written on them. Mine seems to be the same size as theirs, though. So I don’t know what the deal is, and since I got my tank from Heaven Gifts, not directly from Vaporesso, I couldn’t ask them about it. Anyway, I’ll update the review once I get to the bottom of this mystery. The first thing I noticed about the Vaporesso Estoc Tank Mega is how similar its general design is to that of the popular Aspire Cleito. 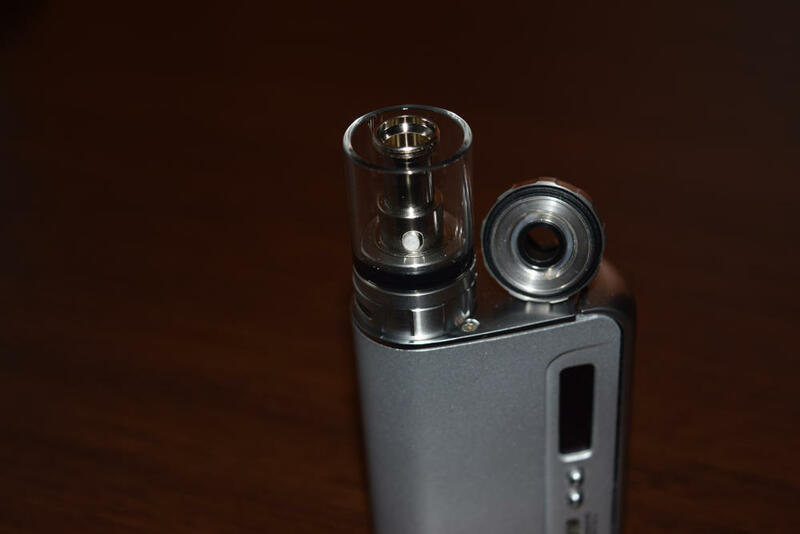 The removable delrin drip tip and the top cap are virtually identical, so is the wide o-ring connecting the glass tube to the base of the tank, and the rest of it is not much different either. I’m not saying it’s a copycat – as the Estoc does have its own unique features – but merely making an observation. 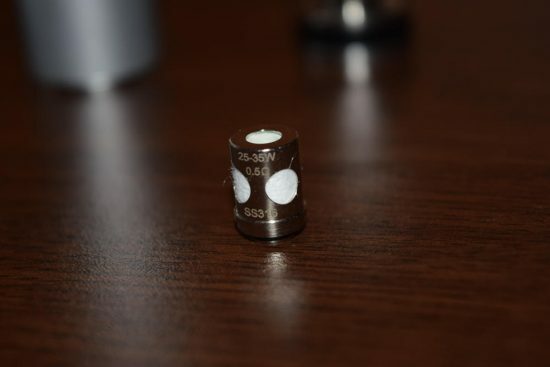 Plus being compared to what is one of the best sub-ohm tanks on the market these days should be taken as a compliment. The Estoc Tank Mega features a simple top-filling system. The top cap unscrews by turning it counter-clockwise and all you have to do is pour in the juice. 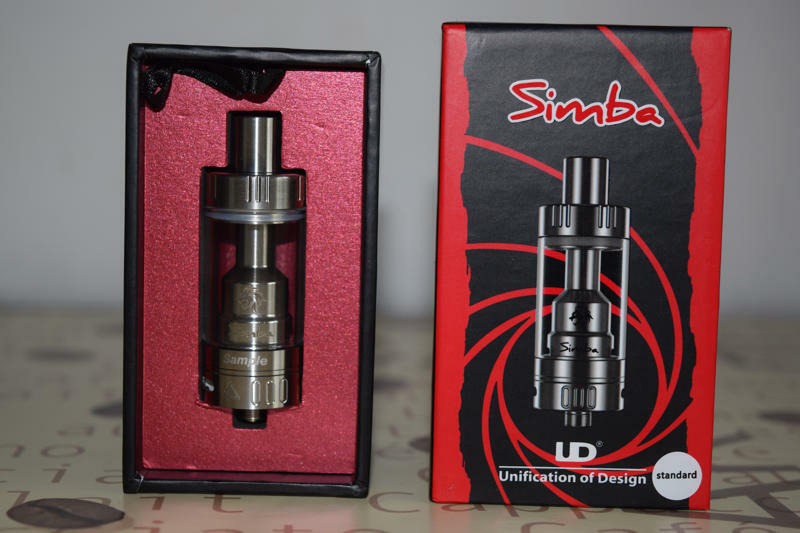 If this is your first tank, make sure you put the juice in the glass tube, not the center air shaft, or you’ll flood the coil, and you don’t want to do that. Once you’re done, screw the cap back on and you’re good to go. It’s a very simple, mess-free solution. The tank comes with a tiny EUC ceramic coil head preinstalled, but if you want to change it, all you have to do is unscrew the tank and take it out. There is no threading on the coil head or the tank base, so it just kind of sit there. Because of this, you can either drop the coil head into the top shaft, or set it in the base and then screw it back on to the rest of the tank and it will work just fine. Again, a really simple system that works very well. While the cCELL ceramic coil heads were one of last year’s greatest vaping innovation, Vaporesso decided to take things even further, and with the Estoc Tank Mega it launched the new Eco Universal Coil (EUC). They come in both ceramic and the standard cotton wicking variants, and with the Estoc you get a chance to try out both. So what’s so special about these new EUC coils, you ask? Well, first there’s the “Eco” part. Usually, when replacing a coil head, you have to throw out the whole thing – the coil itself, but also the metal casing and cotton wick. Considering the tens of millions of vapers around the world and the frequency at which they replace tank coils or cartomizers, that adds up to a lot of unnecessary waste. 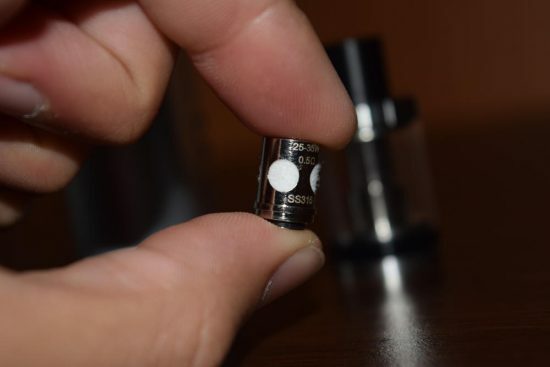 Vaporesso decided to address this problem by developing a system that allows you to only throw out the only the part that actually needs replacing – the heart of the coil head, they call it. These new EUC coil-heads are surprisingly tiny, especially when compared with those of the SMOK TFV4 or TFV8 Cloud Beast. They are designed to fit inside a reusable metal casing that, like the original cCELL, makes them compatible with other tanks, like the Aspire Atlantis. When you need to replace them, all you have to do is unscrew them from the casing, throw them out and pop out a new one. It’s an interesting concept that Vaporesso claims will save you some money and take a smaller toll on the environment. Here’s the thing, though – the Estoc Tank Mega kit does not include this reusable metal casing, so I haven’t had a chance to try it out yet. The base only has enough room to accommodate the EUC coil-heads, but if you have a tank that uses Atlantis-type coil heads, I guess you can buy the casing separately, and only replace the coil core when you need to. Still, I find it a bit strange that they advertise this feature on the Estoc box and on the tank’s presentation page when the whole system is not actually included in the package. 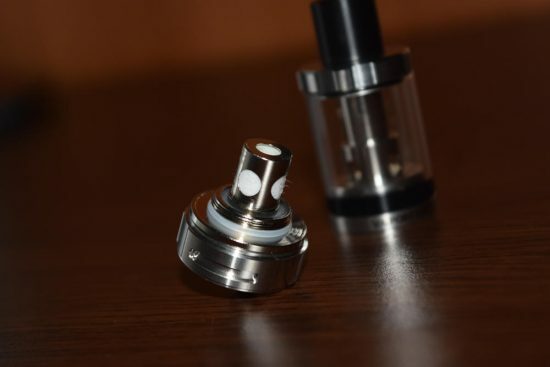 The Estoc Tank Mega comes with a preinstalled 0.4Ω ceramic EUC coil-head and an extra 0.5Ω classic cotton wicking coil head, but in the 10 days I’ve been using it, I’ve only tried the first one. That’s because it’s been performing so well that I never felt the need to change it. Also, although I’m sure the cotton-wicking one works very well, the ceramic coil-heads is what Vaporesso is all about. After all, they were the first to introduce them and make them so popular. The technology in the new EUC ceramic coil is about the same as that of the original cCELL coil-head. The heating element is sealed in a ceramic container, and even though there is a layer of organic cotton visible through the wicking holes, it acts only as a wicking aid and anti-leakage sealant. Since the cotton never comes in direct contact with the coil itself, it doesn’t influence the taste of the vapor. They say that you should never judge a book by its cover, and the old proverb applies perfectly to the tiny Vaporesso EUC ceramic coil-head. Despite its reduced size, it’c capable of producing a surprising amount of vapor even at low wattage, and the flavor is probably the best I’ve ever gotten out of a tank. 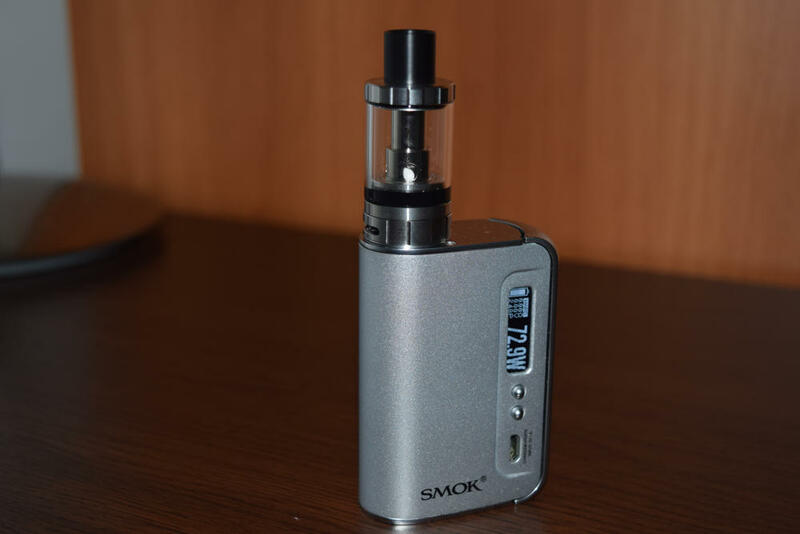 The performance of this little device is even more surprising considering the flimsy look of the coil itself. Visible through the center shaft, the heating element looks almost pathetic when compared to that used on SMOK TFV8 coils, or even on the smaller Baby Beast. And yet, it vapes like a champ, even at a mere 40 watts. To be clear, the Vaporesso Estoc Tank Mega does not put out the same insane amount of vapor like the SMOK tanks mentioned in the above paragraph, but taking into consideration the different coil sizes and necessary power output, it’s pretty damn impressive. Vapor production is still way above average, and I would even go as far as to describe it as satisfying for any vaper. The vapor is warm, dense and, most importantly, full of flavor. Tanks usually fall into two categories – flavor tanks and vapor chuggers, but the Estoc is a well-executed combination of both. But flavor and vapor production are not the only things that make up the vaping experience, and I’m happy to report that during the 10 days that I have been using the Estoc Tank Mega for, I’ve had no leaking or spit-back issues whatsoever. The Vaporesso Estoc Tank Mega has all the makings of a hit. It’s simple to use, uses the tried-and-true ceramic coil technology of the original Vaporesso cCELL that guarantee good vapor production and excellent flavor, and it even tackles environmental issues (provided you care enough about that to buy the re-usable metallic sleeve separately). Last but not least, the price point is very tempting. At just $19.99, the Estoc Tank Mega is one of the most affordable sub-ohm tanks on the market, and using our exclusive discount code below, you can get it even cheaper than that. Just received one. So far I am really happy with it. Have only tried the pre installed ceramic coil and I have been impressed with vapor production and flavor. It is good but in all fairness my Tobeco Supertank is better flavorwise. Best thing is no leaking! Got mine yesterday, at first I missed taste, but now after one day taste has improved a lot. I guess the ceramic coil needs some time to come up to taste. I don’t like the filling setup, maybe because I am spoiled with the way the baby beast works. But all in all a nice tank!